It was a tough weekend for the Camosun College Chargers women’s volleyball team who suffered a pair of losses in their road trip series against the Capilano University Blues in North Vancouver, November 20 and 21. At 7-3, the Chargers slide from their previous #1 PACWEST standing to sit third in the conference and eighth nationally. It was a four-week wait for the Camosun College Chargers basketball teams who were finally able to perform in front of family, friends and a host of familiar faces at PISE as Camosun hosted its 2015-16 home openers. Despite a courageous and continued effort by both the men’s and women’s squads, the Chargers suffered a set of heartbreaking losses against the Quest Kermodes and Langara Falcons to cap the first half of the PACWEST season. With a weekend sweep of the University of the Fraser Valley (UFV) Cascades, the Camosun Chargers men’s volleyball squad preserves its perfect record (8-0) and stays steady, holding the No. 1 spot in the country. It was a win-win weekend for the Camosun College Chargers who swept the visiting University of the Fraser Valley (UFV) Cascades at PISE November 13-14. Heading into the weekend series with UFV, fourth-year outside hitter Katie Fetting (Lethbridge, AB) earned Athlete of the Week honours from both the Pacific Western Athletic Association and the Canadian Collegiate Athletics Association for her outstanding performance against Douglas College the week prior. Heading into Week 4 of PACWEST play, the Camosun College basketball teams finally have the opportunity to play on home court as the Chargers take on the Quest University Kermodes and Langara College Falcons this weekend at PISE. With a weekend sweep over the Douglas College Royals in Victoria, the Camosun Chargers men’s and women’s volleyball squads advance to the top of the conference standings as Week 5 of PACWEST play gets underway. With a strong core of returning veterans, both Camosun Chargers basketball teams look forward to hitting the hardwood Friday in their PACWEST league openers at Vancouver Island University. After sweeping their PACWEST season openers against the VIU Mariners on October 16-17 and taking advantage of this past weekend’s bye to recharge their batteries, the Camosun Chargers volleyball teams return to conference competition this Friday and Saturday to take on the Columbia Bible College Bearcats (CBC) in Abbotsford. Camosun College is pleased to announce that 22 Chargers student-athletes have been recognized by the Canadian Collegiate Athletic Association (CCAA) as recipients of the 2014-2015 CCAA National Scholar Award. The Camosun College Chargers made a jump start to the 2015 PACWEST golf season with a big 12-stroke win at University of British Columbia - Okanagan Invitational this weekend in Kelowna. 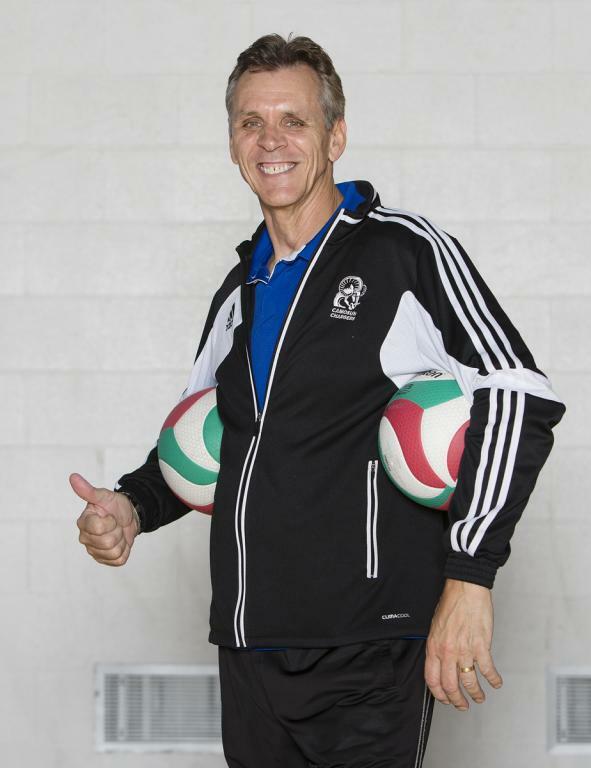 Register now for the Camosun College Chargers men’s Volleyball 2015 Senior Boys’ High School Tournament: September 18-19, 2015 at the Pacific Institute for Sport Excellence. Have you got game? Try out for the Chargers this September! The Camosun College Chargers will be holding tryouts in basketball, volleyball and golf for the 2015-16 season. Open to all Camosun College students! Last night, student-athletes, coaches and supporters of the Camosun College Chargers gathered at the Harbour Towers Hotel to recognize the achievements of the College’s student-athletes at Camosun’s 21st Annual Athletic Awards Ceremony. The Camosun College Chargers women’s volleyball team finished the PACWEST regular season with a home and away series versus their Island Rivals the Vancouver Island University Mariners. Over the course of two matches, third-year outside hitter Katie Fetting (Lethbridge, AB) put forth 38 points as the Chargers earned a split and finished the year with three wins and one loss to their Nanaimo counterparts. Today, the PACWEST awarded Ms.
PISE will be buzzing with Charger activity this weekend as Camosun’s basketball and volleyball teams hit the court one final time to close out their home game schedule and begin preparation for the playoffs. The Chargers volleyball teams have two matches remaining before the PACWEST Championships, starting with tonight’s road game against Island rivals, the VIU Mariners in Nanaimo. The Chargers and Mariners take a break on Friday, then go at it again on Saturday in Victoria at 6 & 8pm. Last weekend, the Chargers men swept their matches with the COTR Avalanche to advance to 16-6 and maintain the #2 spot in the PACWEST standings. Camosun’s winning weekend doused any hopes the Avalanche had to qualify for the PACWEST playoffs and COTR closes the season in 7th place with 5 wins and 19 losses. Heading into the final week of conference competition, the Chargers will need to win one of this week’s two matches against Island rivals, the VIU Mariners to remain in second place and receive a first round bye at the PACWEST Provincial playoffs. It was a weekend of mixed results for Chargers basketball as the squads hosted Langara and Douglas on February 6-7. While the women split their games to move to 7-9 (5th place), the men suffered two devastating losses and slip to 6-10 (5th). With only five games remaining in the regular season, the Chargers are focused on staying above the red line and qualifying for a berth to the PACWEST Playoffs. This weekend, Camosun battles the boards in Nanaimo in the final of three matchups with VIU. The Charger’s February 6-7 road trip to North Vancouver proved to be a successful one with both teams sweeping the weekend against their hosts, the Capilano Blues. Following the weekend, veteran Charger and Camosun Engineering student Alex Sadowski (Belmont) was named PACWEST Men's Volleyball Athlete of the Week. The January 30-31st weekend produced mixed results for the Chargers basketball teams who faced off against the CBC Bearcats and Kwantlen Eagles on the Mainland. While the women suffered two tough losses, the men picked up two very welcome wins. Despite producing polar results, the teams sit in parallel positions in the PACWEST standings, both at #5 with a record of 6-8. It was another big weekend for Victoria volleyball fans as the Camosun Chargers served up two days of hard-hitting action against the Douglas Royals at PISE. While the women swept their two-match series, the men collected a split ending the weekend with a colossal four-set win against the Nation’s #1 team. It was a weekend of mixed results for the Chargers volleyball teams who travelled to Abbotsford to battle in the Bearcats’ den. While the women won back-to-back matches to advance to a tie for 1st place, the men suffered two hard-fought defeats and remain tied for #2. The Camosun Chargers basketball teams faced two tough days of competition on the January 23-24 weekend as they went up against the #1 Quest Kermodes and a determined Capilano Blues program. While the Chargers women fell in both their match-ups, the men were forced to settle for a split. Now with the past weekend’s setbacks behind them, the Chargers take time to reflect and regroup as they look ahead to Week 8 of competition and their next set of challenges which sit on the Mainland. It’s been a chock-a-block week of wins for the Camosun Chargers mens’ and women’s volleyball teams who kicked-off the second half of the season with a pair of PACWEST Athlete of the Week honors following their solid sweep over the UFV Cascades on the January 16-17 weekend. Following a discouraging 20-point loss to VIU in their January 9th mid-season opener, an invigorated Chargers women's basketball team hit the road last weekend with the intention to get back their mojo and return to their winning ways. The squad was successful in each of their road games taking down the #2 Douglas College Royals 66-56 on Friday and netting another win on Saturday against the #6 Langara Falcons, 71-66. The victories put Camosun into the National Rankings for the first time this season, at #14. The Camosun College Chargers hoops teams kick off the second half of the PACWEST season this Friday as they host Island rivals, the VIU Mariners at the Pacific Institute for Sport Excellence. This Friday’s match-up is the first of 14 games that the Chargers basketball teams will pack in between January 9th and February 28th in their pursuit of this year’s PACWEST playoffs.